The selection of a method for the construction or rehabilitation of a road over peat will normally be based on environmental and economic considerations, as well as the performance requirements expected of the new carriageway. Most public roads, even relatively high speed roads, can stand fairly large settlements if they are long and uniform, particularly if the ride quality is not affected. Short differential settlements across the carriageway on the other hand can pose dangerous traffic hazards for fast moving vehicles and need to be designed out if at all possible. For this reason, main national strategic roads will usually be designed and constructed with safe, proven, conservative methods of construction that will deliver the high speed carriageway performance required. Lightly trafficked roads on the other hand, such as the low volume rural roads that ROADEX deals with, will not normally need these high tolerances and will usually be able to use the less expensive, less rigorous forms of construction, particularly where vehicle speeds will be low. Irrespective of the classification of the road however the overall structure will have to be designed to meet the two main engineering criteria of stability and settlement, otherwise known as “bearing capacity”. 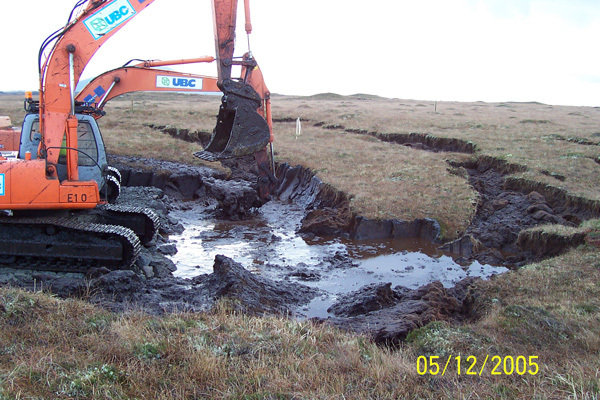 The insitu stability of a peat slope can be assessed using the ‘infinite slope analysis’ model, (Skempton and DeLory,1957), which assumes that the peat will slide as a block (translational failure). In addition, it should also be remembered that failure can also happen in the soils below the peat, particularly where these are weaker and more hazardous than the peat on top. Appropriate geotechnical analyses should always therefore be carried out ahead of construction to ensure that these failure conditions are avoided. Various forms of proprietary stability analyses are available in the geotechnical market such as PLAXIS, OASYS, FLAC, SAGE, SLOPE, SLOPEW, etc. The selection of the most suitable method of analysis (spreadsheet, general analysis, finite difference/finite element analysis, 2 dimensional, 3 dimensional, etc) should be left to an engineer experienced in the field. As part of the analysis it will be necessary to examine the short term construction stability of the embankment, including the effects of the different phases of the embankment construction, as well as the long term stability of the chosen method of construction. 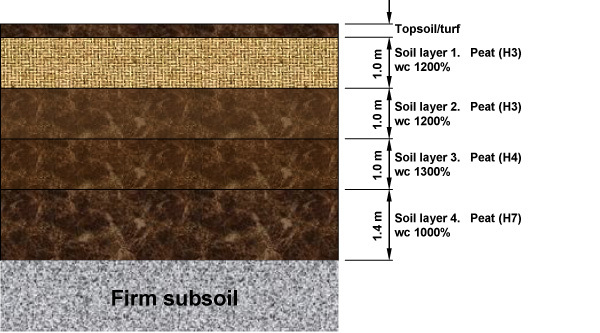 Stability is unlikely to pose a design problem on fibrous peatbogs due to the reinforcing effect of the peat fibres, but it can be a significant consideration in the design and performance of embankments over fen peats which tend to be more humified and less permeable. The settlement of an embankment in peat is a long term process that never stops. It has two distinct considerations; the magnitude of settlement and the rate of settlement. The rate of settlement, and the time needed for the settlement to happen, is normally considered to the more important parameter for a road construction project if post-construction maintenance is to be minimised. Repairing a faulty road with settlements after it has been constructed usually requires the road to be closed, incurring extra cost and delays to traffic. For this reason it is always best to ‘get it right first time’ in the original construction through good design. 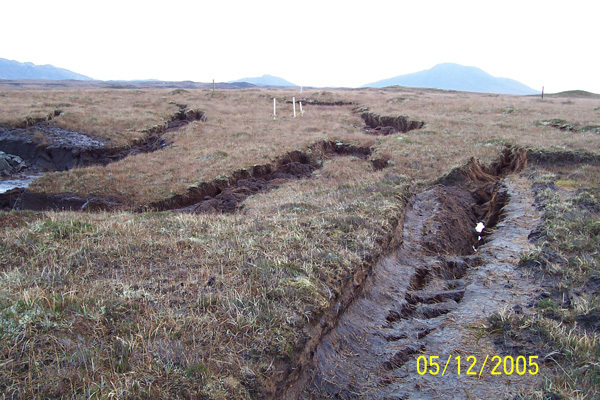 Peat exhibits an immediate ‘elastic’ settlement as soon as it is loaded, and a ‘consolidation’ settlement thereafter. 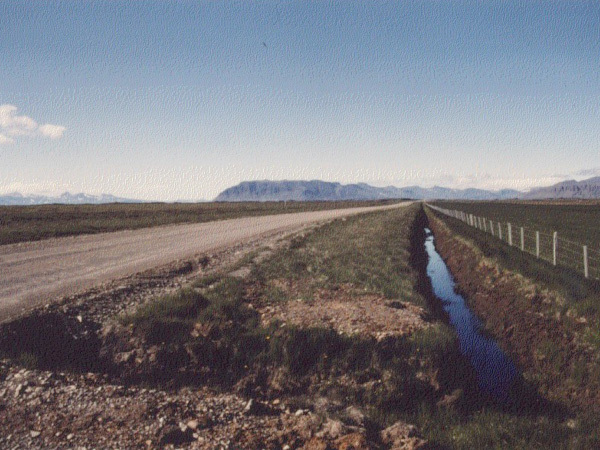 It is possible to estimate the elastic element but most authorities in the Northern Periphery area usually ignore this element and concentrate their efforts instead in assessing the magnitude of the consolidation settlement as this has a far greater effect on the serviceability of the finished road. Whatever method is used however the performance of the works on site during construction must be monitored to confirm that the actual settlements are proceeding as predicted. The Swedish Transport Administration method is based on the experience of a number of road construction projects over peat in Sweden and deals with the estimation of the settlement during the primary consolidation phase. 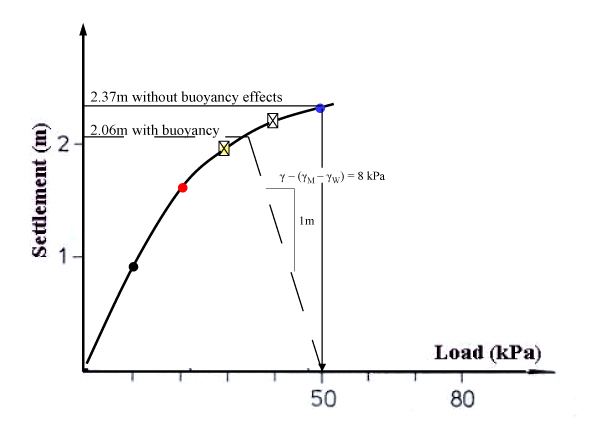 If secondary compression predictions are also required it is recommended that these are carried out using proprietary computer software programs. The STA method consists of a series of settlement diagrams developed as a result of tests carried out on 30 Swedish peat locations from 1979 to 1998. These are used to give an indication of the primary settlement in peat in the absence of undisturbed samples of the insitu peat. 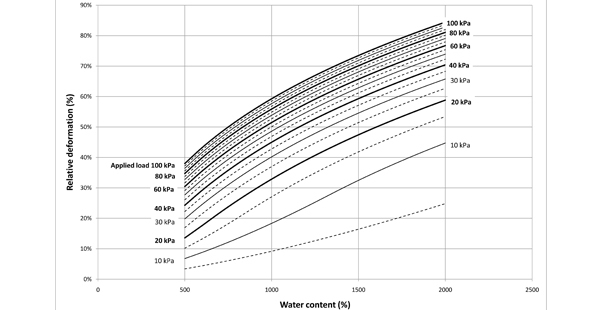 The diagrams bring together 4 of the main parameters governing settlement in peat: the thickness of peat, its water content, the applied load and the time elapsed. 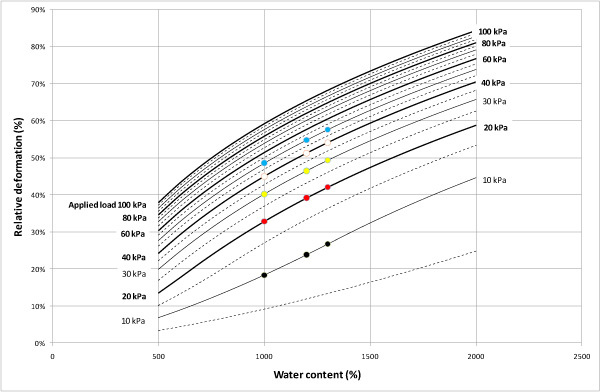 The diagrams are based on experience from tests on fibrous peat and medium-decayed peat. The diagrams assume that the peat is normally consolidated. For a previously loaded peat a correction factor can be used. 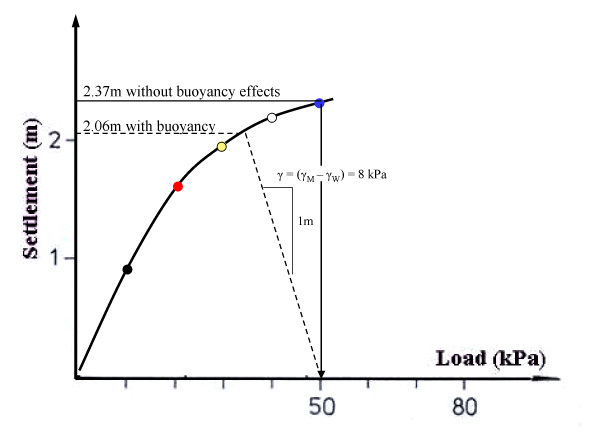 If the diagrams cannot be used, appropriate data should be obtained from compression tests. 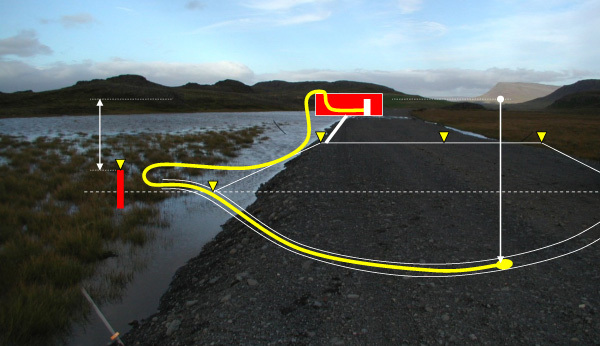 The following example illustrates the process for the settlement of a 2.5m thick embankment on 4.5m of peat. 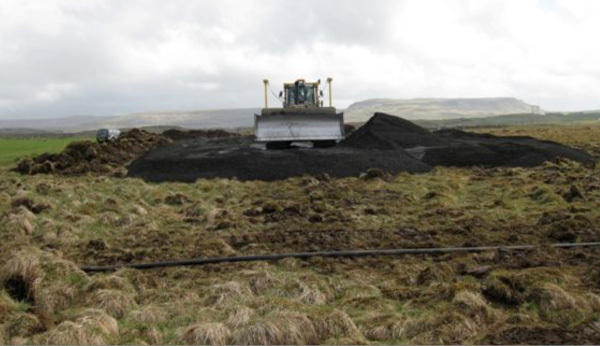 The peat has been considered as 4 layers of 1.0m, 1.0m, 1.0m and 1.4m with layer water contents of 1200%, 1200%, 1300% and 1000% respectively. The first stage in the STA method is to create a “load-settlement” relationship for the peat stratigraphy being considered. 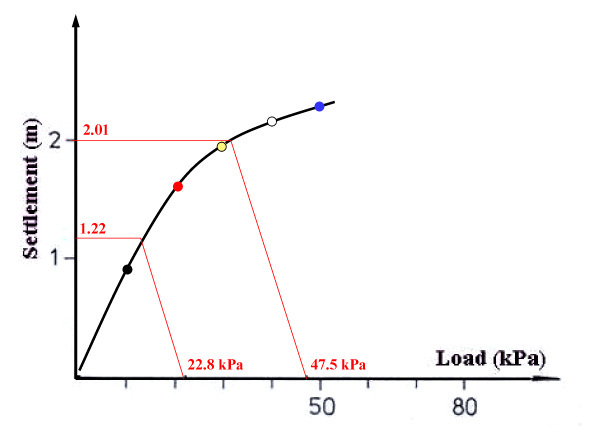 This is carried out as a series of calculations to simulate a typical embankment loading sequence as shown on the following graph and table. 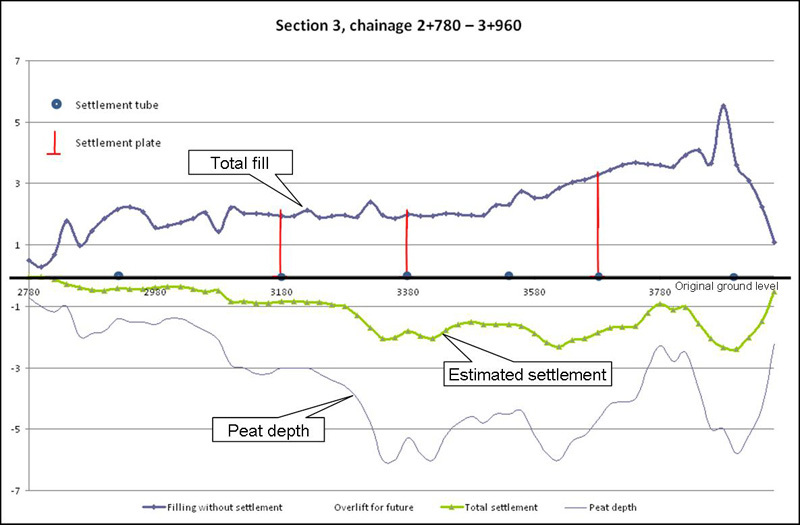 Abstracting the “?” settlement figures from the table produces a “load-settlement” curve for the peat stratigraphy being considered. In the case of the example this means that the estimated settlement at 50 kPa will be reduced from 2.37m to 2.06m. These 2 embankment loading stages can be modelled in “Diagram 2” below. 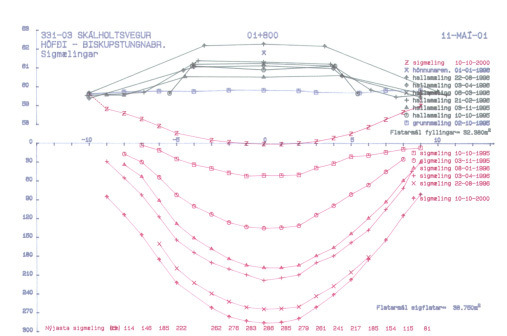 The stages are then output in a combined table where the predictions of the settlements from “load-settlement” curve are presented alongside the expected time periods from Diagram 2 as below. The table only gives an indication of the settlement in a peat layer. 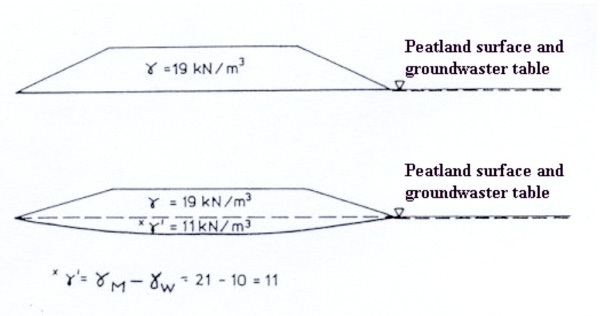 If the peat layer is part of a series of compressible layers the settlement in the other layers must be estimated also to arrive at an overall prediction figure for settlement of the embankment. a) control the rate of embankment construction in the short term to ensure that excess pore water pressures have time to dissipate and that the underlying peat gains sufficient strength before additional layers are placed. b) predict the rate of post construction settlement over the longer term design life of the road. Deep side ditches are dug on both sides of the new road line 15 metres off the proposed centreline well in advance of the roadworks to establish a stable ground water regime for the construction and maintenance of the new road. 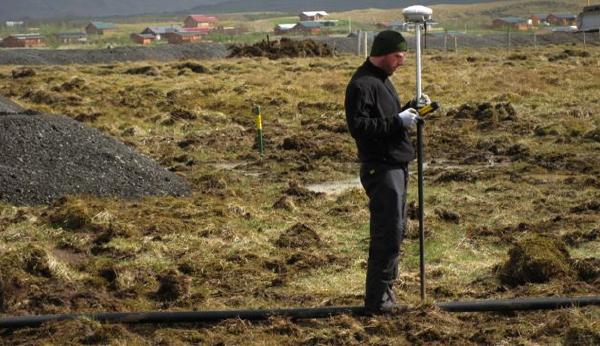 Actual embankment settlements on site are checked at nominated locations (100-200m apart) along the road centreline using a “Hydrostatic Profiler”. For this a 50mm diameter plastic tube is placed on the bog surface transverse to the road line prior to commencement of filling operations. As the layers of fill are placed on the peat the tube deflects as the embankment settles. A pressure transducer can then be pulled through the tube to measure its deflected shape under the embankment whenever required. The measurements obtained are presented as a cross section through the embankment for use in measurement and earthworks control purposes.. The first layer of fill is designed to impose less than 20 kPa on the bog surface. Subsequent layers are designed to add less than 30 kPa. 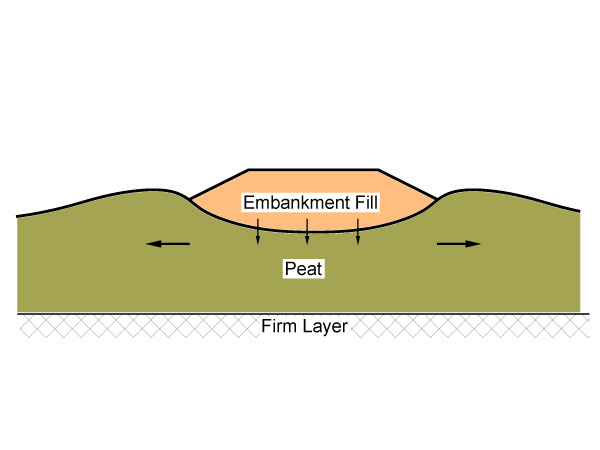 Each layer is allowed to settle by 50% of its predicted settlement before further layers are permitted to be placed. When these rules are followed it is not normally necessary for additional measures to be employed to accelerate consolidation. Counterbalance berms are occasionally used to increase overall stability. Actual settlements are checked periodically at each measurement cross section during construction and compared with the predicted settlement. 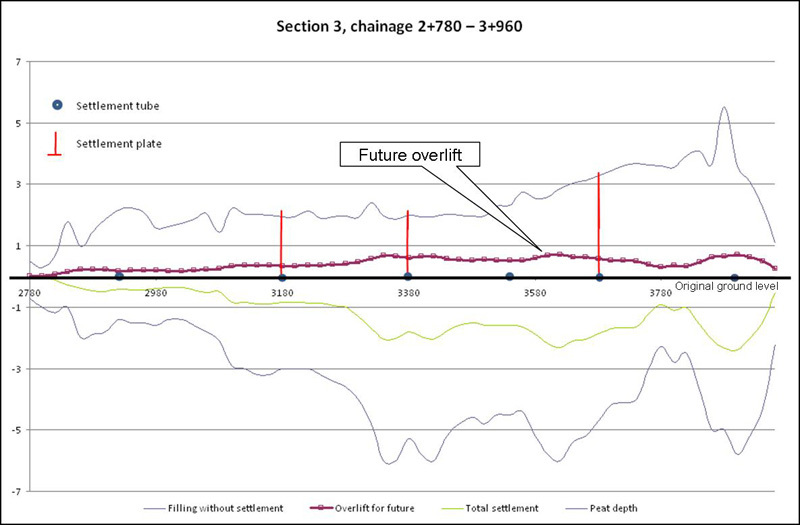 If necessary, the measured settlements are “back calculated” and updated to improve the modelling of future settlement. Opportunity is also taken during these checks to ‘fine tune’ the requirements for overload and surcharge to ensure that the desired amount of settlement occurs within the required timescale. A final check is carried out at the completion of the earthworks stage, prior to laying the road structural layers. At this point the embankment is normally given an “overlift” of material to allow for any future settlement in the lifetime of the road, usually taken to be 20 years. This final check is done at the finished embankment level so that any remedial work can be carried out with fill material rather than with more expensive crushed sub-base.